Newlite Vision glasses protect your eyes from radiation from the lamps. They also allow us to see the true color of plants growing under artificial light. With the glasses Newlite Vision, it is easier to see the spotted leaves, insects, maturity, etc ... They protect your eyes from the risks of prolonged exposure to horticultural lamps, and also liquid splashes. Supplied with protective neoprene case. 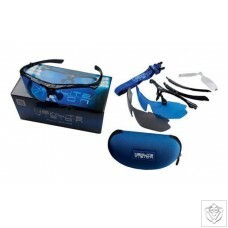 Dark lenses, to be used with sunlight outdoors. Optional magnification add-on. ..